The purpose of this post is to talk about homes in Poland just from my personal view. I am in the American that lives in Poland. I have lived here for many years. 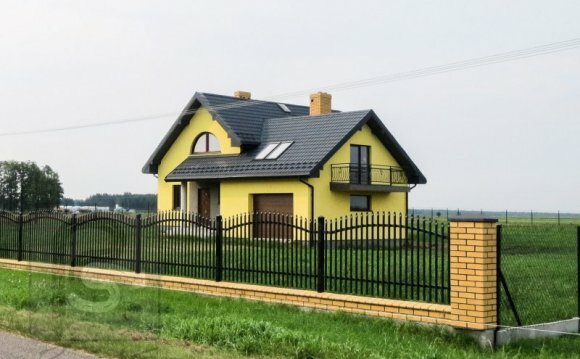 One thing I have noticed about the Polish landscape is the style of houses are different than those in the United States. The United States has an eclectic style of homes. Poland has a style, the cities are ancient and amazing, it looks like Europe. The Polish style home is in my opinion are stronger than your typical American home, however build more for efficiency than style. Some of the nicer styles imitate the old manor estates that have a neo-classical look. Almost all Polish homes are made of stone with some sort of stucco on the outside. Polish people like this because they feel it’s more sturdy. This may be true. They look a lot like home you see in Florida, that is the style of stucco white homes often red roofs and windows to converse energy. The new style Polish homes are really nice and like the new rich of America have. My own style of home, is something that has been natural elements like would and a lot of class and windows. I believe light is very important particularly in Poland. The reason is in the winter it is a very dark country, and you need to maximize light. Polish homes try to save on heating bills, the news ones have large windows as people are not going for style over saving every little penny. This may have been true in the past way and you had the stain single class windows, however now all and even in my apartment I have the state doubled last windows and I don’t have a major problem with my heating bill. Remember most of the heat I believe extends through the windows, and perhaps doors. However if you have this double thick glass in the windows then it’s not an issue. In fact, you should haveas much window as possible save almost have solar heating. VimCraft - 27 - House Polish!